This immaculate updated 2 bedroom 2 bath 3rd floor Portofino condo offers upgrades everywhere you look! Note: some of the furnishings will stay! Interior has a tiled wood buring fireplace and mantle, decorator paint, upgraded ceiling fans and light fixtures throughout, gorgeous kitchen with granite counter tops, maple cabinets, pass thru open to dining area, custom built-in desk in dining area, in unit W/D, both bathrooms have framed mirrors and upgraded cabinets with pull-outs for storage. This georgous unit is a real must see. Located in a beautifully maintained guard-gated community with 2 pools/spas & BBQ areas. 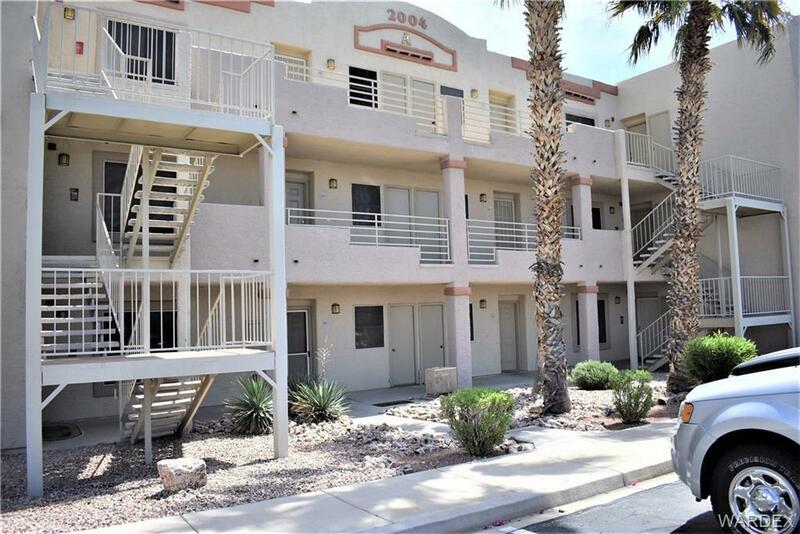 Near 24 hour public transportation and only minutes from the Colorado River and Laughlin casino excitement. Buyer to verify sq ft., utilities, taxes, assessments & flood plain.